A series of converging trends provided political cover for the reforms of long-standing energy subsidies launched by oil-exporting states in the Middle East and North Africa, according to a new paper by an expert in the Center for Energy Studies at Rice University's Baker Institute for Public Policy. These subsidies are thought to be an important source of legitimacy for autocratic regimes. In "Political Enablers of Energy Subsidy Reform in Middle Eastern Oil Exporters," Krane writes, "While the reforms signal an important shift in state-society relations, the new policies" seek to streamline the sources of patronage that underpin autocratic governance in the Middle East. 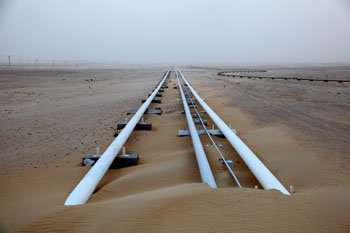 The onset of low oil prices in late 2014 coincided with a "tsunami" of energy subsidy reforms across the oil-exporting Middle East and North Africa, Krane said. "At least nine countries raised prices on energy products that, in most cases, had been fixed at low levels for many years," Krane wrote. "Reformers include all six of the wealthy Persian Gulf monarchies (Saudi Arabia, United Arab Emirates, Kuwait, Qatar, Oman and Bahrain), petroleum exporters Algeria and Iran, as well as Egypt, a mid-sized producer that is currently a net importer. The price increases were designed to address fiscal overdependence on oil and the unsustainable growth in domestic consumption brought on by subsidized prices." For observers of institutions of autocratic governance, these increases in energy prices stand as a "watershed event," Krane said. "Energy subsidies in the rentier Middle East have long been described by scholars as rights of citizenship, provided by regimes in exchange for public acquiescence to autocratic rule," Krane wrote. "Touch them, the literature warns, and the autocratic state-society bargain is liable to unravel." Political theories argue that autocratic petro-states block citizen participation in politics by avoiding taxes and funding generous social welfare budgets with oil revenues - or rents - which serve to buy citizen support, Krane said. "By stimulating local demand for exportable commodities over four decades, regimes unwittingly set in motion a long-term threat to their oil export rents, the chief source of patronage for political control," Krane wrote. "Reforms of subsidies were necessary because the alternative - a reduction in rent income - is even less tolerable. And, by framing these energy subsidies as political rights, the literature has enmeshed itself in the same reform challenge that now confronts regimes." Krane concluded, "Regardless of the path that future subsidy reform takes, the actions to date represent a serious breach with theoretical assumptions about governance parameters in rentier states. State-society relations appear more flexible and less tied to fixed benefit menus or democratic concessions than commonly portrayed. Regimes appear to be streamlining patronage structures to sustain rent-based governance for the future."